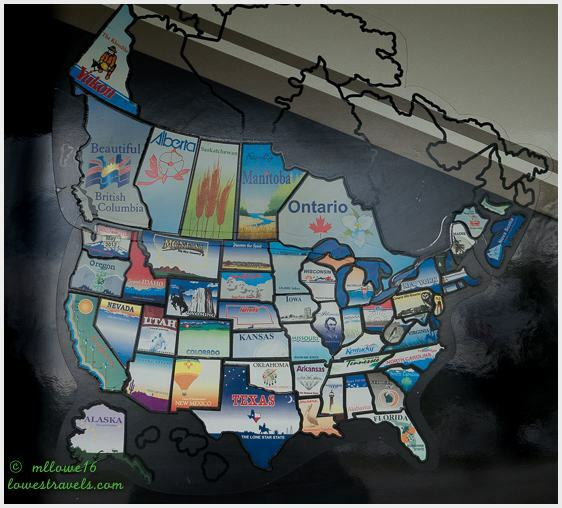 While writing this post I quizzed him on what was the farthest point north we were during each of the previous 6 years. He failed miserably, but I remembered and decided to list them below. And if you like you can click on each link and see what we did on those stops and reminisce with me. 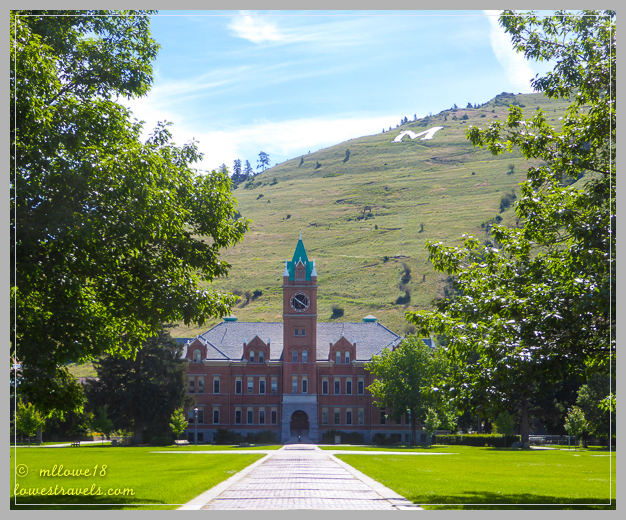 Our northernmost visit during 2018 is Missoula, MT. 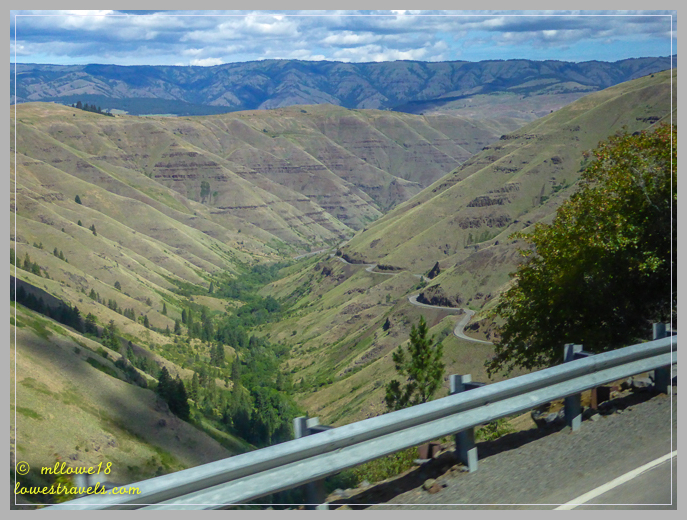 To get there, we crisscrossed from Wallowa, OR along beautiful Rattlesnake Grade, which straddles the Oregon/Washington border. 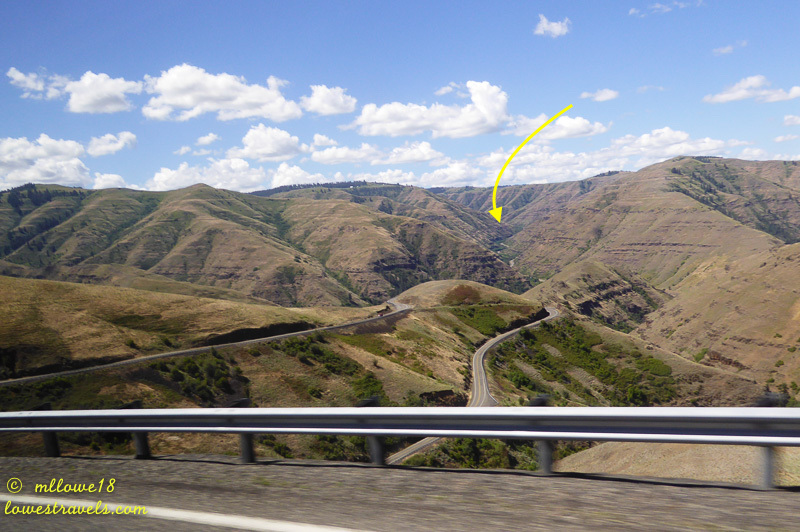 I enjoyed taking pictures of the awesome views as Steve carefully guided Betsy along SR 129, a steep road that hugged tightly to verticle hillsides and wrapped around multiple gullies and ridges in 25 mph speed zones. Sticking to our rule of driving 200 miles or less per day, we touched 3 states on this drive – Oregon, Washington, and Idaho – before my handsome captain burned out from all the mountain driving. 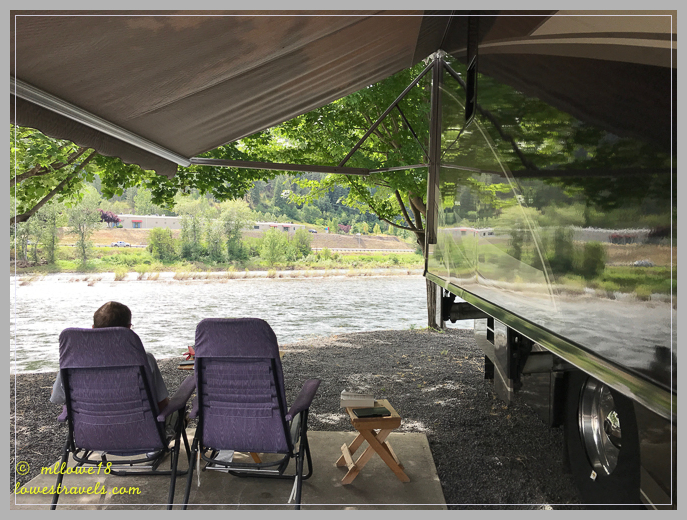 We had booked two nights at Clearwater River RV Park as our rest stop. The small town of Orofino is nestled in a valley bordered on one side by the historic Clearwater River (Lewis and Clark Trail) and the other by a 54-mile-long lake created by the Dworshak Dam. And what a dam it is! Ahhh, the river rushing by right behind our site was sooooo soothing! We immediately noticed that Dworshak Dam wasn’t like the others we’ve toured. 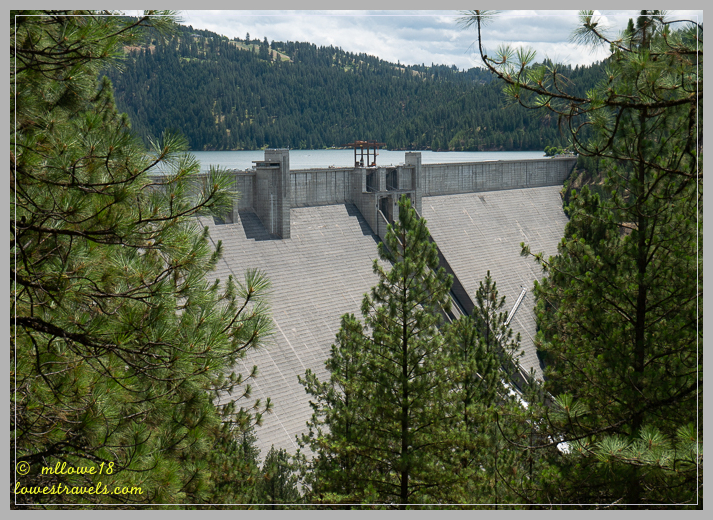 It’s a straight-axis concrete gravity dam standing 717′ tall with a crest length crossing of 3,287′. It’s the largest of its type ever constructed by the U.S. Army Corps of Engineers, a flood risk management project that was completed in 1973 after seven years of construction. Steve and I were the only tourists on the first guided tour of the day. We were taken down to a galley which runs about 3/4 of a mile through the entire dam. Have you ever looked down a hallway that’s 3/4 of a mile long? It’s an amazing experience, I’ll tell you that! After walking only halfway down that galley we were guided to an excellent diorama that showed how the dam was built, then we went to the top of the structure for the walk back to the visitor center. We learned that the COE also built a nearby National Fish Hatchery to offset the loss of natural spawning grounds for Chinook Salmon and Steelhead caused by the dam’s construction. What a cool (and FREE) tour, and no crowds! 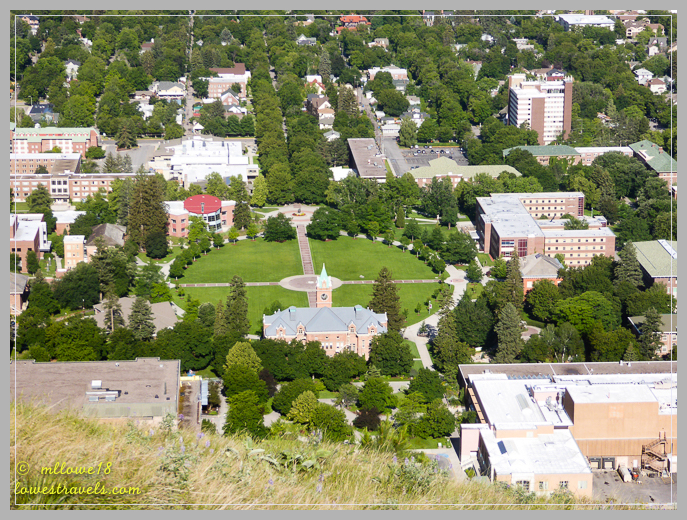 Entering Missoula, we saw the unmistakable letter “M’ on the slopes of a mountain near the university. I immediately blurted out that we had to hike to “the Mona Liza M”. 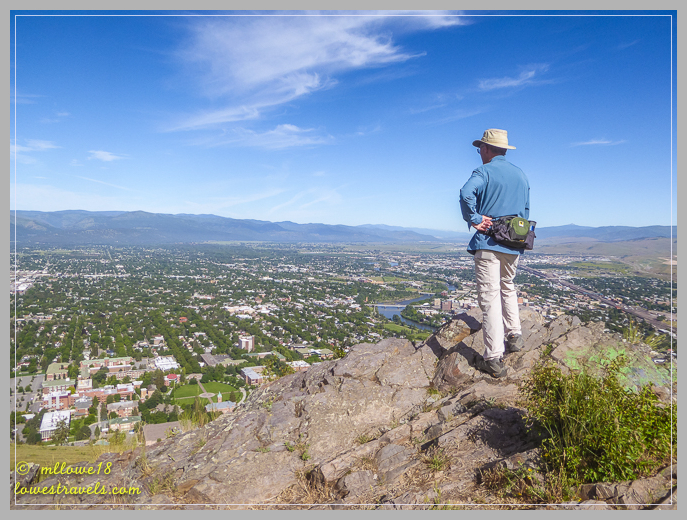 So, on a Monday, Mona Liza hiked to her M in Missoula, Montana! The hike was short but strenuous, as we climbed 11 switchbacks while gaining 620′ of elevation. Hidden away in Missoula’s surrounding mountains are plenty of hiking opportunities, and we managed to tackle two of them. We followed Ravine Creek Trail #34 from Lolo National Forest and Sawmill-Curry Gulch Loop Trail in the Rattlesnake Wilderness Area. They were moderate hikes between 6-7 miles, and we enjoyed them both. 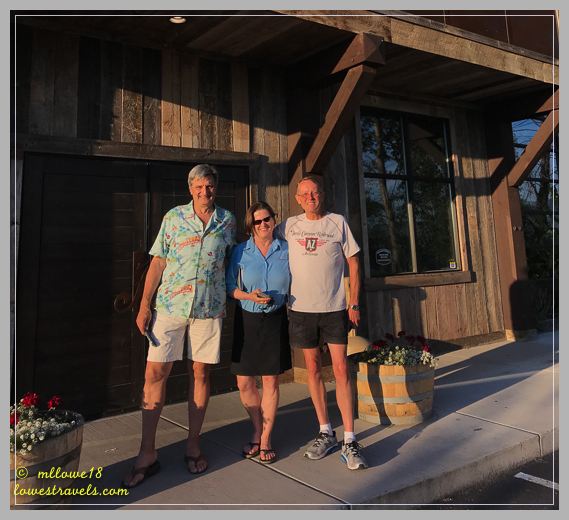 We were happy that we crossed paths with Donald and Gail of Winecoasters Blog, meeting up with them at Highlander Brew Co. for hours of RV’ing and travel stories. We’re planning to get together with them again in Florida next January. Thanks for the yummy pizza, we owe you one! One morning I visited a Buddhist garden of peace called the Garden of 1,000 Buddhas. 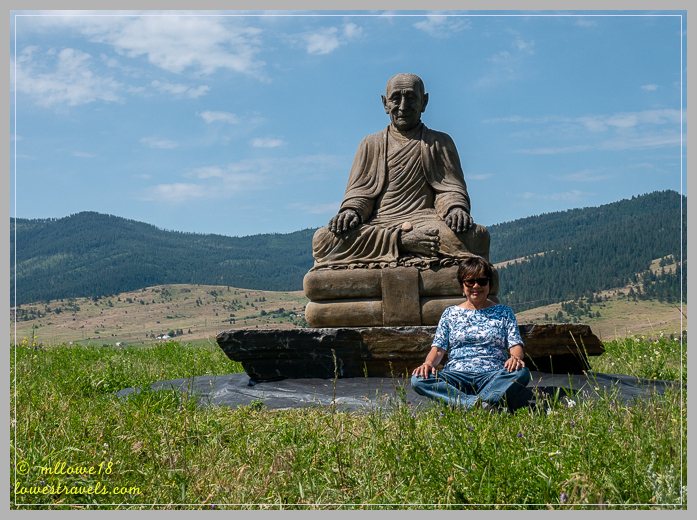 Located about 29 miles north of Missoula, it’s dedicated as an International Peace Center, open to all faiths to come and experience peace, enjoy the Montana outdoors, and learn about Tibetan Buddhism. Click here to learn more about this interesting place. The statuary is arranged in the formation of a “wheel of dharma”, meant to represent the “Noble Eightfold Path” which encompasses the eternal cycle of life, death, and rebirth. I followed a path in a clockwise direction to find peace along the way. Unfortunately, “lawnmower man” was at work that day and he shattered my experience of peace and tranquility. 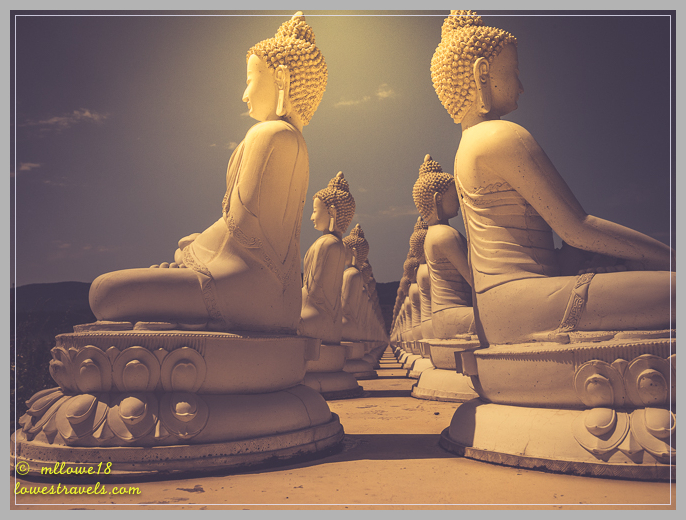 But I did find a variety of statues, ponds and vibrant flowers that created a nice contrast to the white buddhas and stupas with their inspirational quotations. 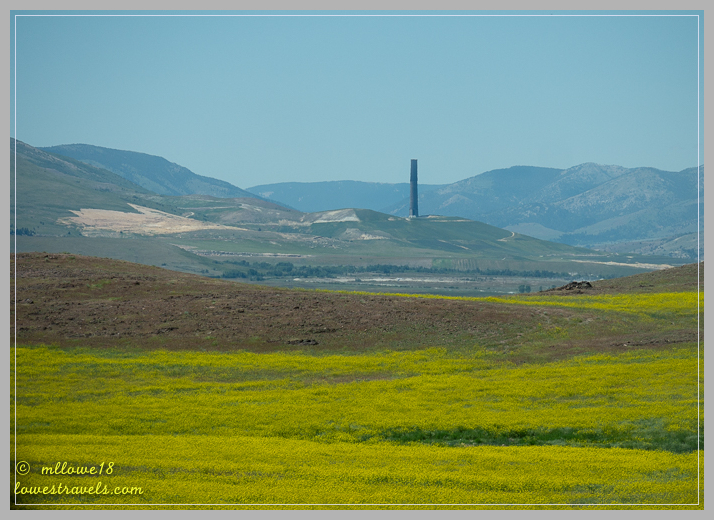 Not far from Butte, our next stop was highlighted by a massive smelter stack on the side of a mountain. At 585′, the old Anaconda Copper Company smelter stack, completed in 1919, is one of the tallest free-standing brick structures in the world. On our first full day, we took a nice 6-mile hike at nearby Lost Creek State Park. We trekked along a 3,000′ deep canyon with gray limestone cliffs and pink and white granite formations. Not wanting to miss out on the brewery-rich environment here, we followed our hike with some excellent brews at Smelter City Brewing. The beers were excellent, and the retro-rebuilt bar made it one of our favorites in a long time. We just wished they served food, because after that hike I ate about 5 bowls of popcorn! Following a suggestion from the pourer at the brewery, we drove the Pintler Scenic Highway from Anaconda the next day to check out the restored mining town of Philipsburg. The Hwy 1 scenic byway follows the northern shoreline of Georgetown Lake, a beautiful and busy mountain lake tucked away at the base of the Anaconda Range. 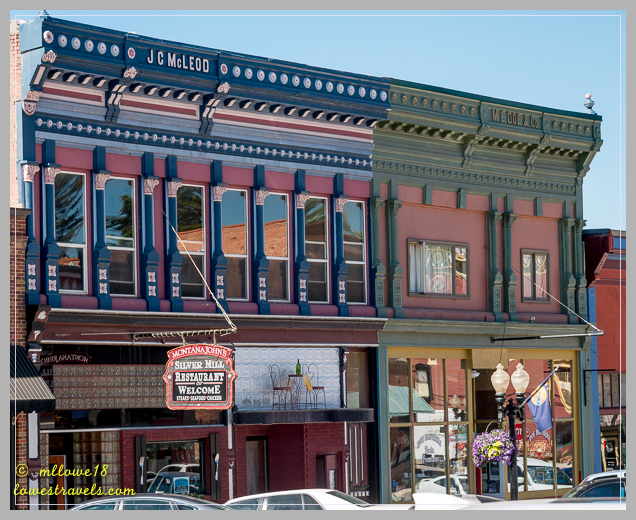 Philipsburg is listed in the National Register of Historic Places as a best-preserved late 19th century mining town. Silver, Sapphire and Manganese mining led to its boom and growth, but now the economy is based on agriculture, logging and tourism. 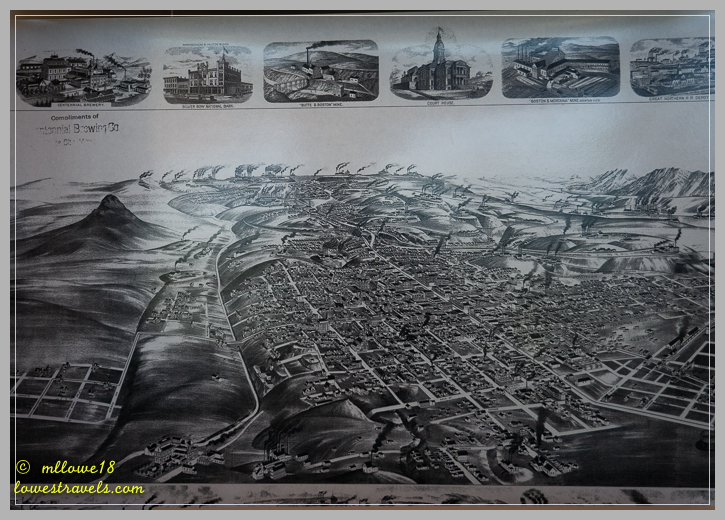 We passed through Butte on our way to a hike at Thompson Park, and when we saw the town up on the hill we were intrigued. 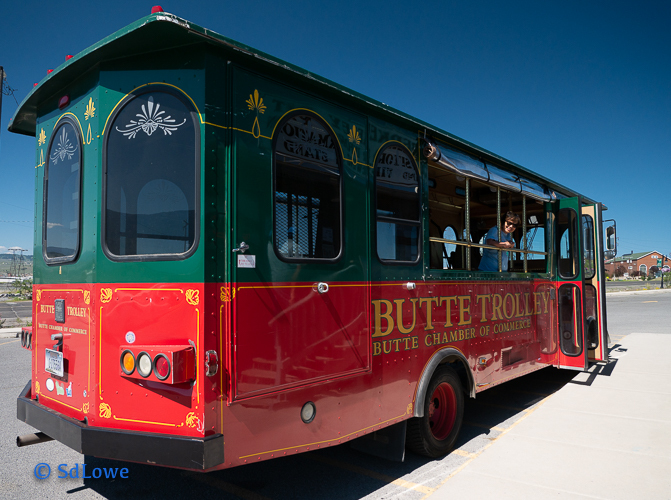 We wanted to learn more, and what better way to do that than take a narrated trolley tour? Butte was and still is a mining town. In the late 1800s, it was deemed “the richest hill on earth”, thanks to the mining of gold, silver, and copper. But it was copper that put this town on the map, as it produced a fourth of the world’s copper after three men emerged as “copper kings”. Evidence of the massive mining operations remains, with many headframes standing over the tops of the 10,000 miles of underground excavations. Unfortunately, Butte has more recently become infamous due to the unintended creation of a toxic lake known as the Berkeley Pit. The closure of Kelly Mine, a former copper open-cast mine, gave rise to a “lake” that turned into a nasty toxic and highly acidic cocktail of heavy metal and hazardous chemicals. In 1995, and again in 2016, thousands of Snow Geese died when they made a stopover at the pit on their southward migration. The pit now has a 24-hour birdwatch program to prevent birds from landing in the water. Click here for an interesting article about their bird deterring efforts. Along with the upper Clark Fork River headwaters at Butte, the pit has been declared a superfund site due to its highly contaminated groundwater, surface water and soil. 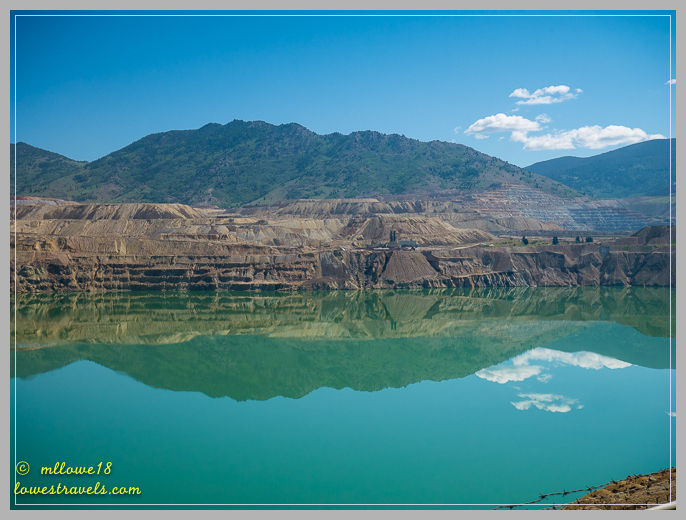 The Berkeley Pit is a mile long and a half-mile wide, and over 1,780′ deep. What a mess! 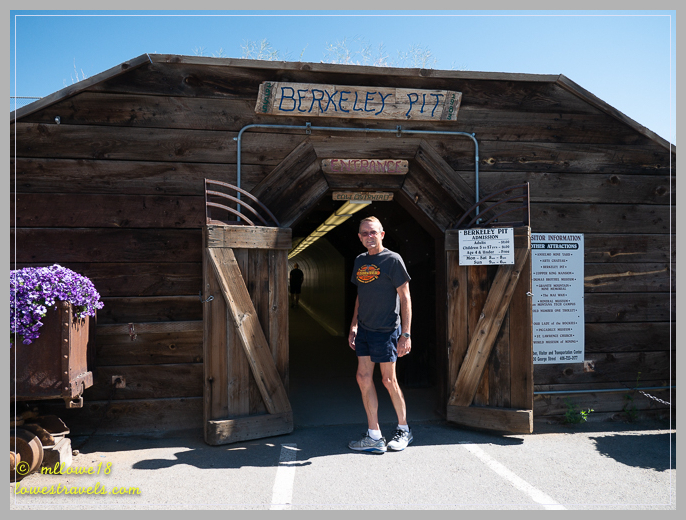 At the World Museum of Mining, we enjoyed touring and exploring a town’s mining legacy through a mock-up of a Wild West frontier mining town of the 1880’s. Built around the original 100′ tall headframe of the former Orphan Girl Mine, the various displays showed the technological and social history of mining focused on dozens of mines in the Butte area. Steve enjoyed this tour a bit more than I did – it must be a guy thing! On the guided underground mine tour we were told about a fiery disaster in one mine that killed 166 miners in 1917. We also learned that thousands of mules played a major role in getting ore from the mines, living and working underground their entire lives. 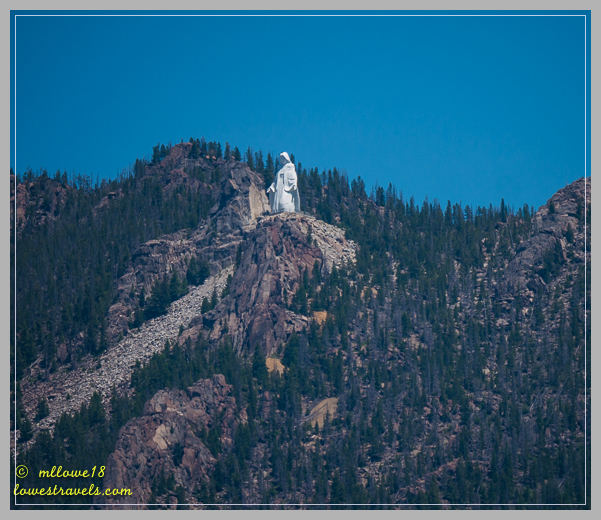 Unrelated to mining, we saw the Our Lady of the Rockies statue standing 3,500′ above Butte on the Continental Divide. 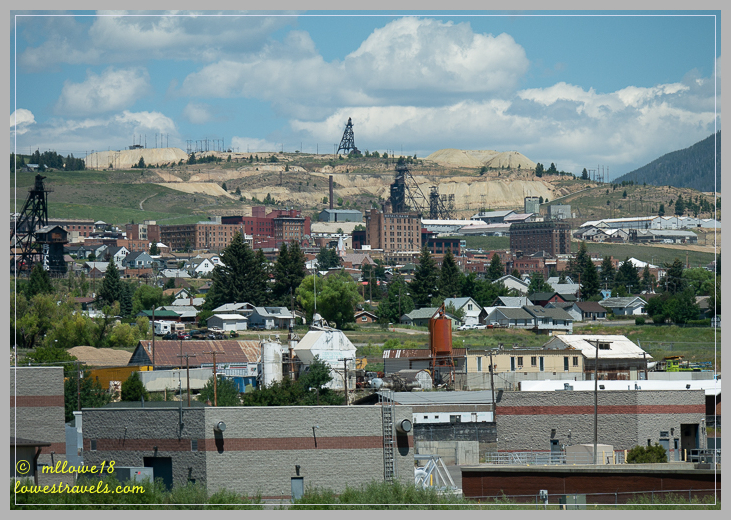 We found Butte to be a very interesting city, well worth spending some time to poke around in. 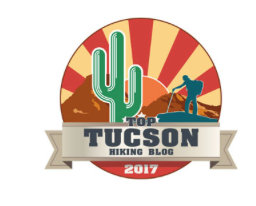 While we wouldn’t want to live there, its history and unique mining history make it an interesting and worthwhile stop. Final sunset for us in Montana – so long! That wraps up our visit to quaint and historic towns in beautiful Montana! Next up: Back to Idaho!